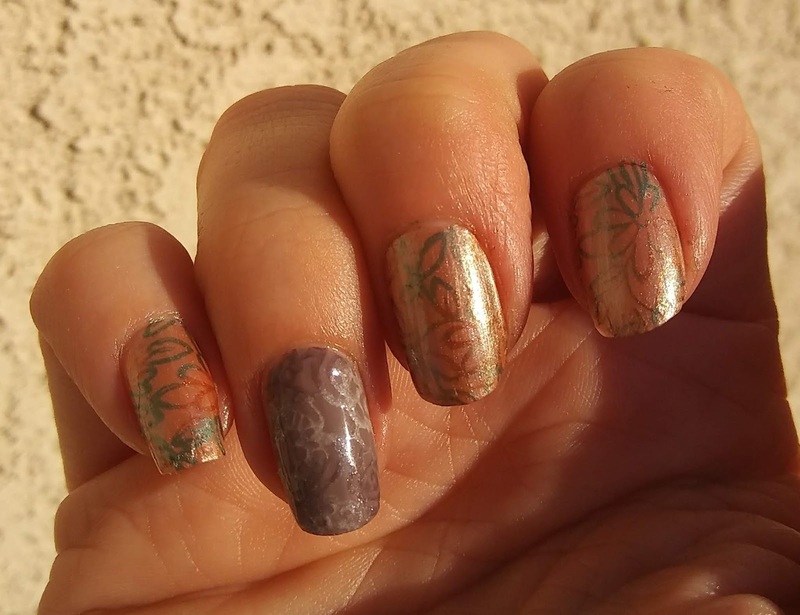 Have you tried your hand at nail art stamping? If so, you quickly found that there is a knack to it and it takes practice to get it right. Frustration has caused some to give up on it altogether. Don' give up! 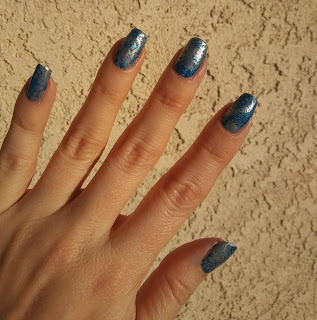 There is a way to use minimal skill, limited color palette, and a simple technique to stun onlookers with a simple stamped manicured. The result is sophisticated, but the technique is very forgiving! Buffet-style stamping plate images work best, but you likely have something in your plate collection that will work. You will want to choose smooth-finish polishes (nothing textured or glittered) that are very opaque. Three contrasting polishes in colors that look good together should work, but you should try it on a swatch stick before committing to applying to your nails. 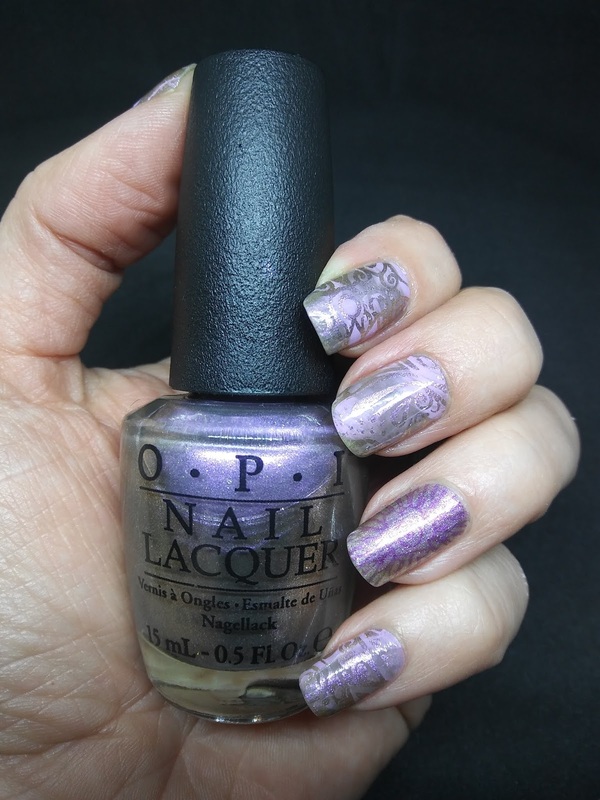 You can mix frosts, cremes, fine holos--infact i think it looks best if you do! Prep and paint your nails with base coat and one polish shade. You will generously dot a section of the buffet stamping plate with the other two colors. Scrape twice in different directions to blend the two colors. Pickup with a large stamping head and stamp onto the nail. Repeat this random process for each nail being sure to alter the pickup and placement of images. No two nails should be exactly alike but they should coordinate beautifully! - If you have issues with your topcoat smearing your designs, that might even add to the beauty! - No more struggling with centering your design on a fingernail, hovering endlessly, afraid to commit while the paint dries! Just slap it on! - You won't have to clean the plate between each impression if you use a buffet plate; just move to a clean spot and keep going! -If you want every nail to look identical, this technique will send your nerves into orbit! You will never be able to repeat the designs precisely. You must embrace random coloration, placement, and coverage for this technique to work. 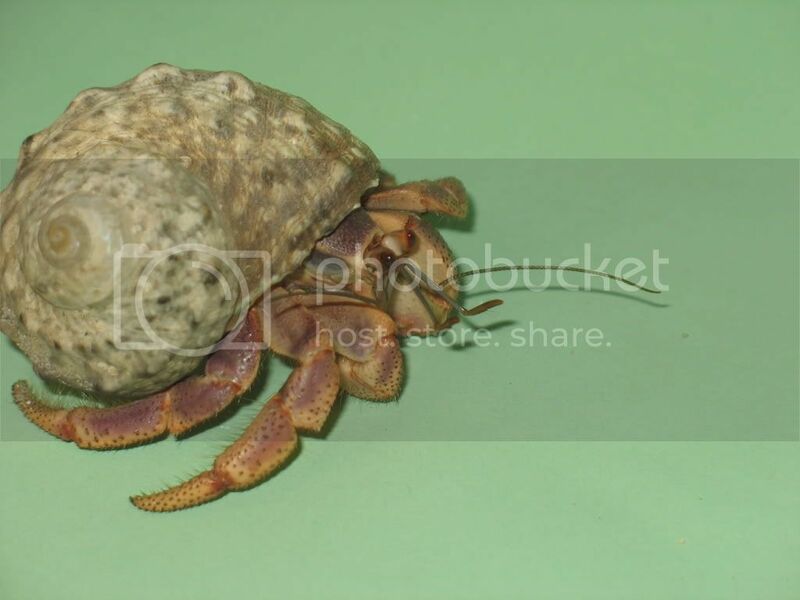 Most humans are watching their fat intake (especially calorie counters), but hermit crabs have different dietary needs. The color of a crab's exoskeleton is often diminished by a chalky appearance, especially just before a molt. Adding beneficial fats to the diet will condition the exoskeleton and enhance the crab's coloration. If you feed your crabs a lot of dry foods (such as the nutritious mixes by Crabotanicals), then beneficial fats and oils may very well be a neglected category. We are introducing several new and exciting supplements to care for this component of a healthy crab diet! We've searched high and low for the very best ingredients, and we hope you will add them to your personal pet pantry. Organic Red Palm Oil approx. 10ml. unfiltered, fare trade. No hexane or other solvents. Product of Ecuador (so you don't have to worry about the orangutans). This oil is in a semi-solid form at room temperature. Gently warming them to body temperature may aid in dispensing, but we do not recommend heating. Many beneficial elements in these products will be lost if heated. Refrigeration extends the shelf-life, but will harden the product significantly. Honey may look like the least of these, but it should be remembered that this is only a glimpse at a few nutrients. Honey is full of phyto-nutrients, the importance of which is only recently coming into the scope of our understanding. What bees feed on while producing honey can drastically change the nutritional make-up of a certain honey. 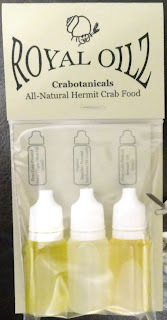 Some exotic honeys actually have flavoring added to them, and these flavorings and their suitablility for use in crab food should be scrutinized cautiously before feeding. However, most honey's are named for the types of flowers the colony of bees is feeding on such as buckwheat honey, clover honey, citrus blossom honey, tamarisk honey, etc. 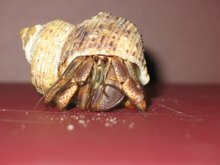 How to Care for "Pet Dirt"
Hermit crabs molt periodically, meaning they shed their exoskeleton and a new, slightly larger one hardens in it's place. Generally, healthy crabs in good crabitat (crab habitat) conditions, will molt underground. 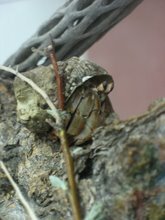 Often, hermit crabs will coordinate their efforts into a mass molt, and every inhabitant will go aground. These periods of time can extend into months, and can be boring, worrisome, or even frustrating for their human keepers. You may feel that you have "Pet Dirt." It is important to remember to feed and water your pet dirt. Molting crabs do surface occasionally to partake. You can smooth out the top layer of sand ever-so-gently (don't create a cave-in) and look for crab tracks the next morning. This will alleviate any fears you may have that your may have passed away. Take care to keep your substrate moist during this time as well. Dry sand or coconut fiber can crumble cave in on molting crabs in their burrows. TIP: Try pouring water into a corner of the tank where you are certain no crabs are hiding, being certain to do so slowly enough not to allow the water to pool on the tank floor. The substrate should wick up the water to distribute moisture evenly. Now is not the time to clean or re-decorate the crabitat. It is important to be sure they are undisturbed because the crabs are very vulnerable during this natural process and require peace and quiet. I wanted to illustrate just how well-made these cat toys are, so I took this deconstructed photo guide. Ribbons are fray-checked and double-secured, seam allowance is very generous to prevent raveling, crocheted tops are lined with felt and whip-stitched by hand onto the pieced pocket that is stuffed with your choice of freshly dried, high-grade lavender, or catnip. A few drops of essential oils are put onto the cotton pad in the center for intense aroma. A small piece of recycled shopping bag is inserted for a subtle noise interest. There's a lot going on that should appeal to your cat! Is there any wonder why the internet is jam-packed with cat videos?! Watching a cat in full play is pure joy! Freshly dried catnip (aka catmint) will have your kitty showing off his acrobatic skills and provide hours of entertainment for the whole family! Other features include a subtle crinkle noise when squeezed or batted, multiple textures of fabric and crochet, with ribbons that bob irresistibly with the slightest movement. 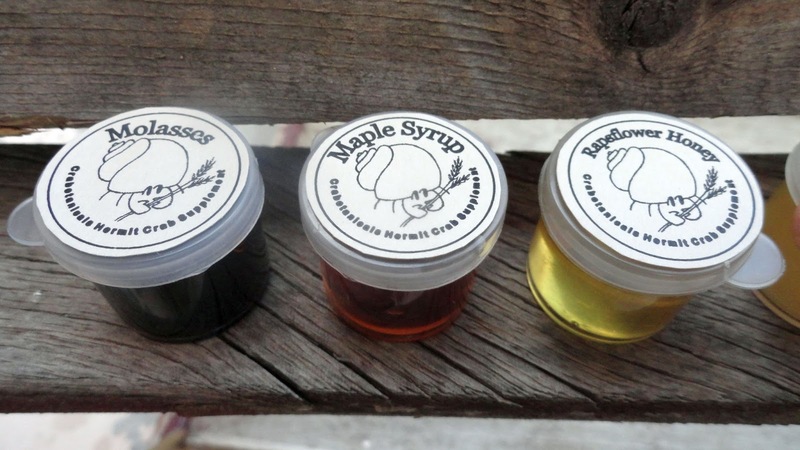 How do we ensure that we get the freshest, most potent product goes out to you? Our catnip filled toys are nearly ready to ship, (partially pre-fabricated). Once we receive your order, we add the dried catnip herb and insert a pad with catnip essential oils before the finishing stitches are completed. This allows us to ship quickly, but store each element separately which preserves freshness or oils and dried herbs. Our cat toys are handmade with extreme care and excellent construction practices—after all, it is meant to be bitten, chewed, kicked, thrown, and clawed. However, you should inspect the toy periodically to ensure that all decorations and stitching remain secure. Products pictured are representative of the item you will receive. Variations in fabric and yarns make it impossible to photograph and list each individual creation. Why doesn't my cat doesn't respond to catnip? One possibility is that it isn't fresh enough. The volital oils in the herb don't have long shelf life, and pet stores are notorious for having old stock. Another possibility is that your cat lacks the gene that sends triggers the sensational response to catnip. This applies to 15-20% of cats. If you've offered fresh catnip without any notable response, you may want to try honeysuckle or velarian as an attractant. 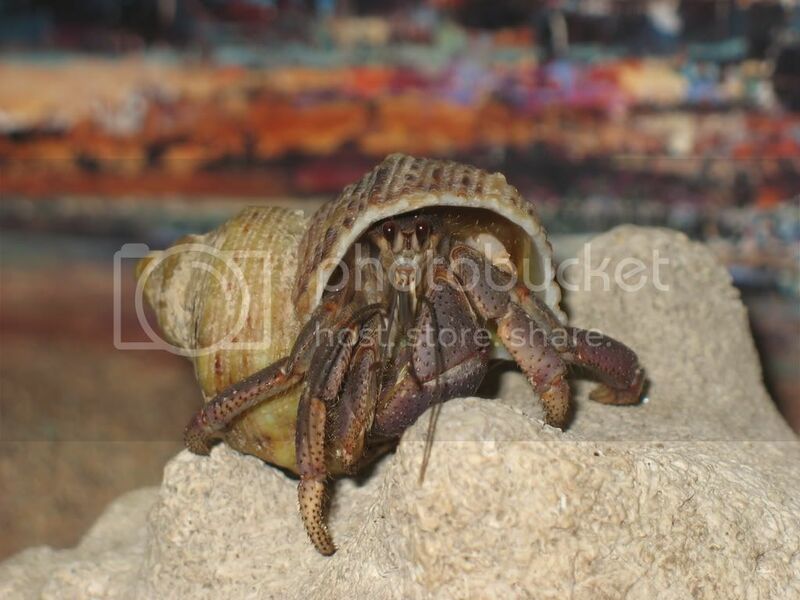 Catnip is NOT considered safe for hermit crabs. Crabotanicals is a hermit crab food manufacturer, but this item is intended for HOUSECATS ONLY. I'd love to see this used as a mat for a fish bowl! I created it with lime green yarn and a white yarn that had bright turquoise flecks. I think it looks just like a green turbo shell--a favorite selection with my hermit crabs. The eyelashes are the perfect finishing touch. I'm not sure if I'll ever be able to re-create it, so it may be a one of a kind. It is nice and dense and 100% cotton. 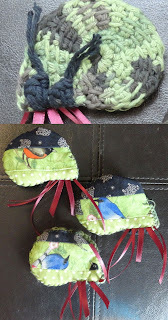 I have created this little hermit crab crochet critter. Thanks to suggestions from my facebook friends, I may adapt them for us as wall hangings, coasters, hot pads, or tank climbers. But my original thought had been to make them into cat toys filled with really potent catnip. I'm going to crochet my heart out so I have plenty to work with. I'd really love your feedback on the design and suggested uses. Heather says, "It's like I suddenly have crabs again. They come out and fight over the food dish. They love Crabotanicals." Amy says of our croutons, "My crabbies love just having this around to chew on. I haven't had to use this for a vacation, but rather just put one of the chunks in their tank in a spot for them to find. Delicious hide and seek." Tiffany says, "My daughter could hardly tell if her hermies had been eating before she introduced them to Crabotanicals food. Now they LOVE to eat and are growing and active. Thanks!" Jan says, "Wonderful doing business with this company. I had read the prior reviews before purchasing these products and found the 5 star review to not only be helpful but right on spot as to the excellent product (with extra's thrown in!) and great customer service in helping me with question I had. 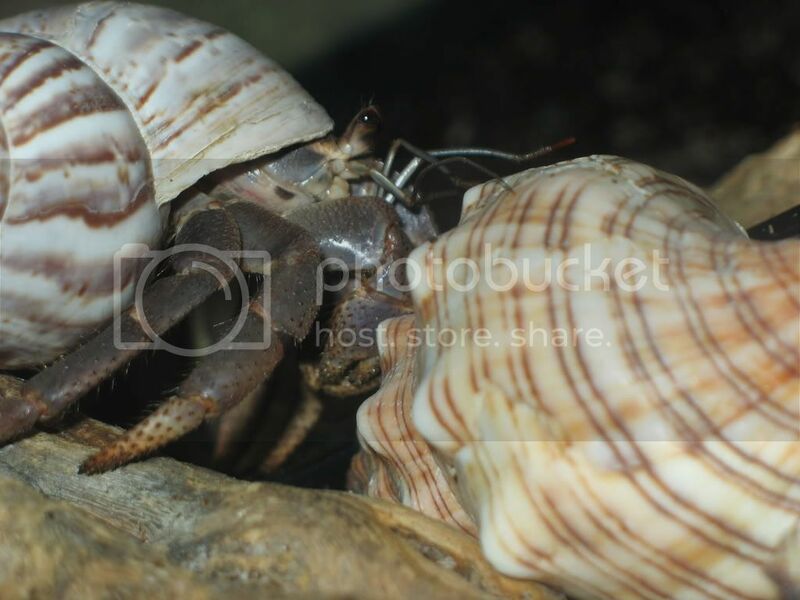 I have done a lot of research on Hermit Crabs in order to take the very best care of my crabby and find Crabotanicals to be the most knowledgeable and nutrition minded! Thank you I will for sure be a return customer!"